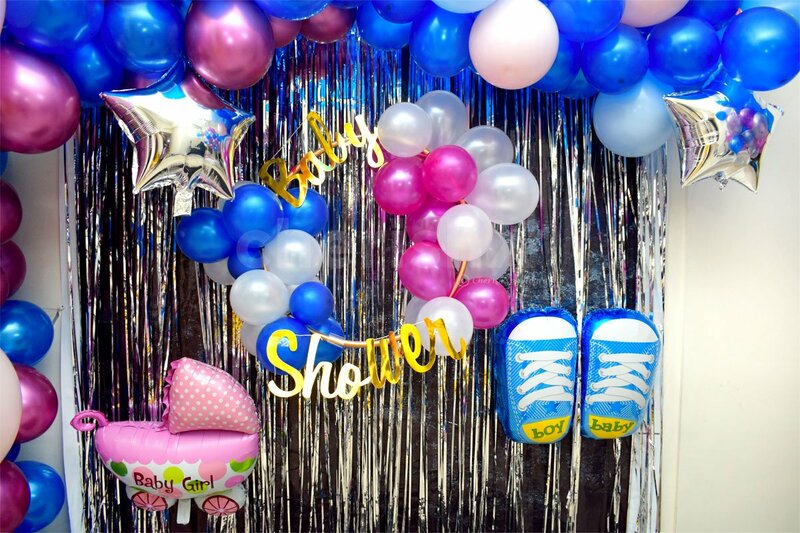 A colourful, royal, and stunning baby shower set-up that your guests will remember! 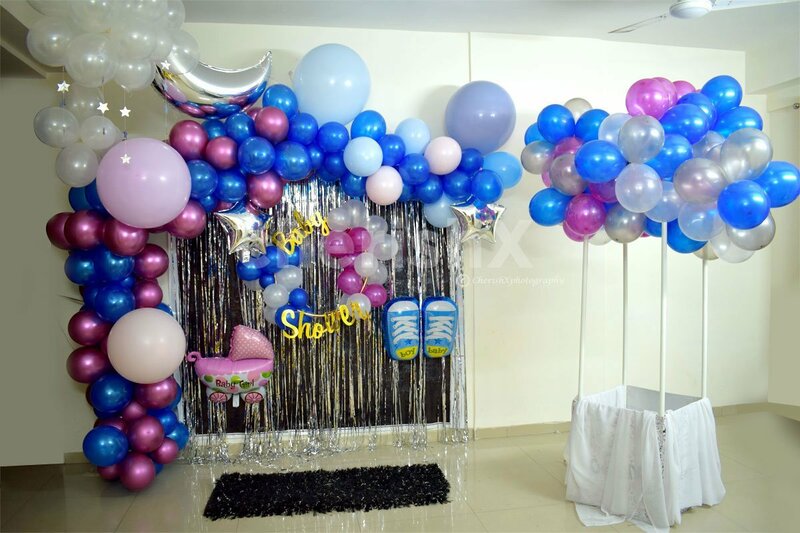 "A decoration that is so magical, you would think angels descended from heaven to do it with their own hands. 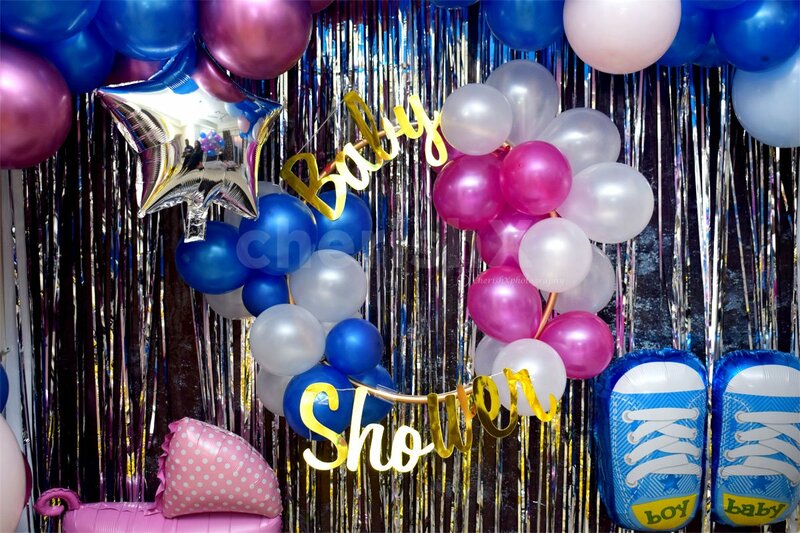 Unbelievably beautiful and curated with love, we bring to you a decor to celebrated the most purest and happiest phase of your life- when you're about to welcome a precious new member to your family! 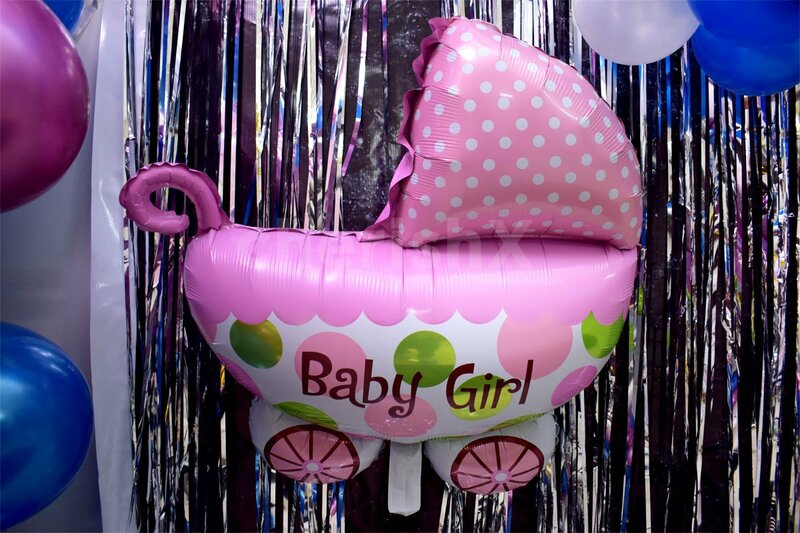 Our unique Baby Shower decor has been crafted with the most exquisite and premium quality balloons and other adornments. 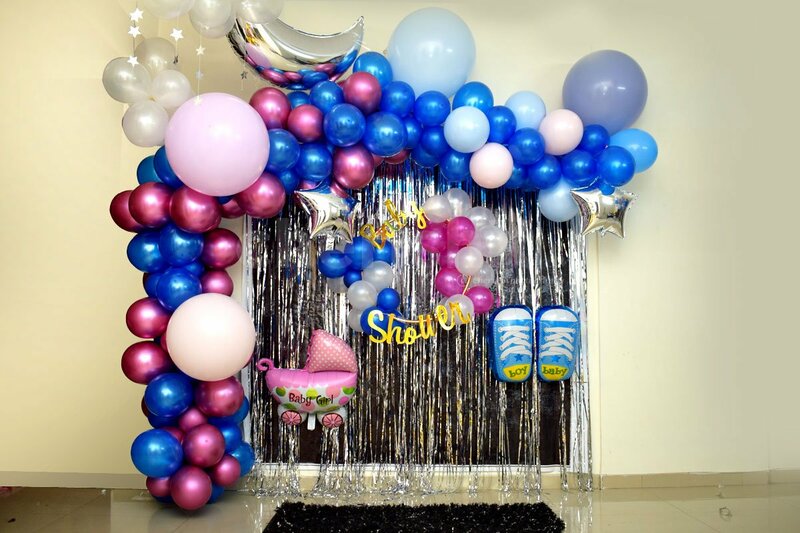 The entire set up comprises of a backdrop of 2 silver frilly curtains, an arch made of 1 silver moon foil balloon, 2 star foil balloons, 50 pink chrome balloons, 100 blue metallic balloons, 4 big pastel balloons, 15 white latex balloons forming a gorgeous cloud with cute star hangings attached to it, 1 hula hoop circle topped with a combination of 30 blue, pink, and white balloons, a shimmery baby shower bunting, 1 blue foil balloon in the shape of baby boy shoes, and 1 foil balloon in the form of a pink baby girl pram. 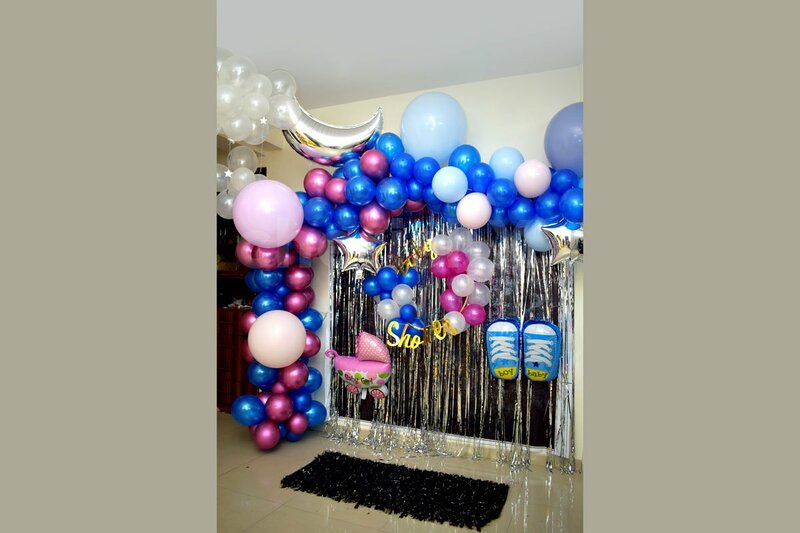 Our team of decorators shall create this set up at your home or a location of your choice and a transformation will take place before your eyes! 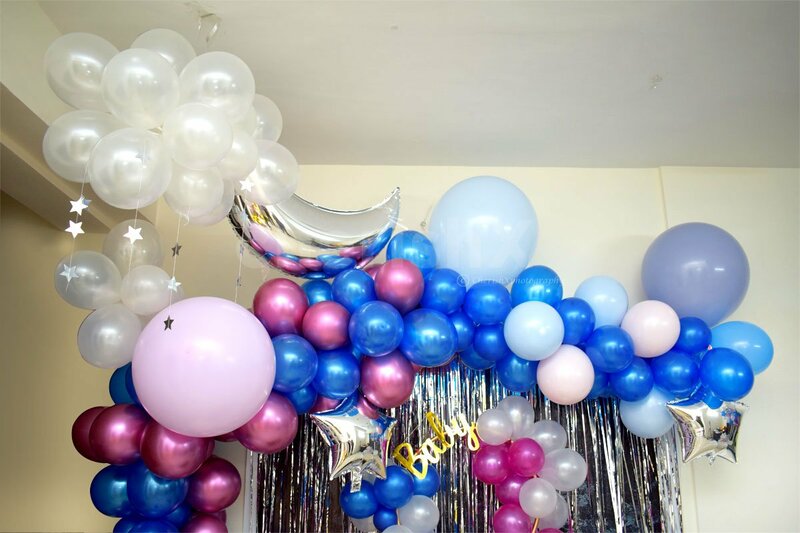 This decor will add a royal touch of elegance to your baby shower celebration, and will make it an unforgettable memory for all your guests and family members. 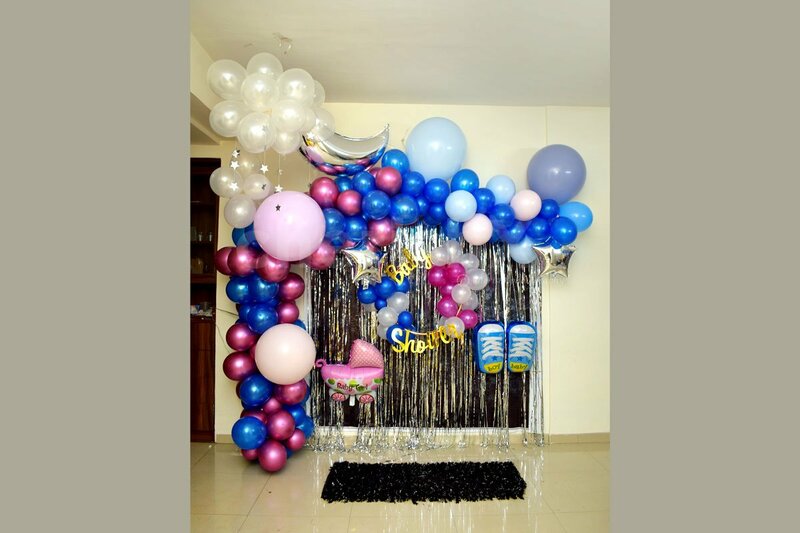 Make this special time of your life all the more special with this fairy-tale like decoration. 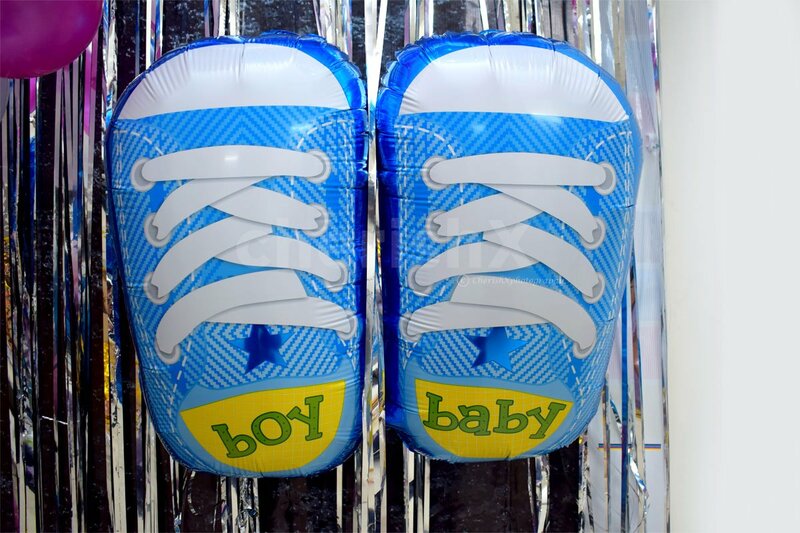 You can make this package all the more bigger and better with our exclusive and thoughtful customisations. 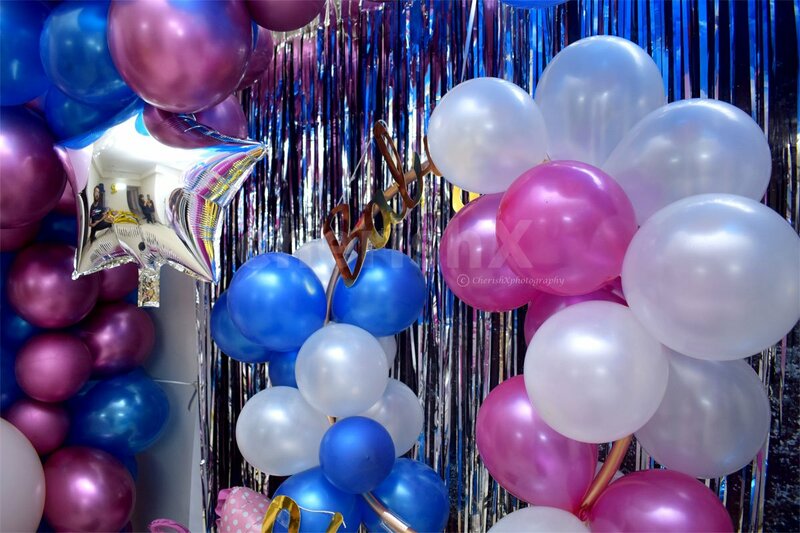 Sweeten the occasion with a delicious chocolate cake, add 100 more balloons to make the set up more majestic, and make your guests feel special with 10 return gifts. 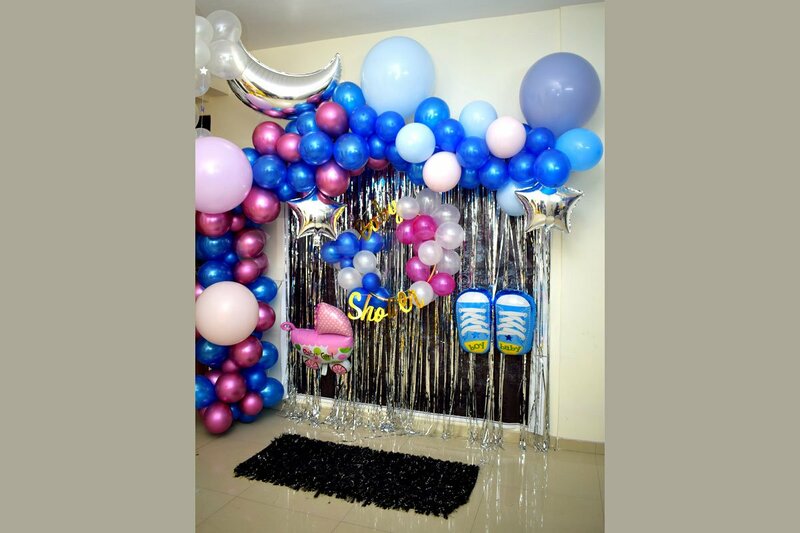 Cherishx recommends a very unique add-on which goes hand in hand with this decor- the baby hot air balloon that is made of a bunch of premium chrome balloons and a visually appealing box. Make your gathering go wow with a never-seen before accessory! " 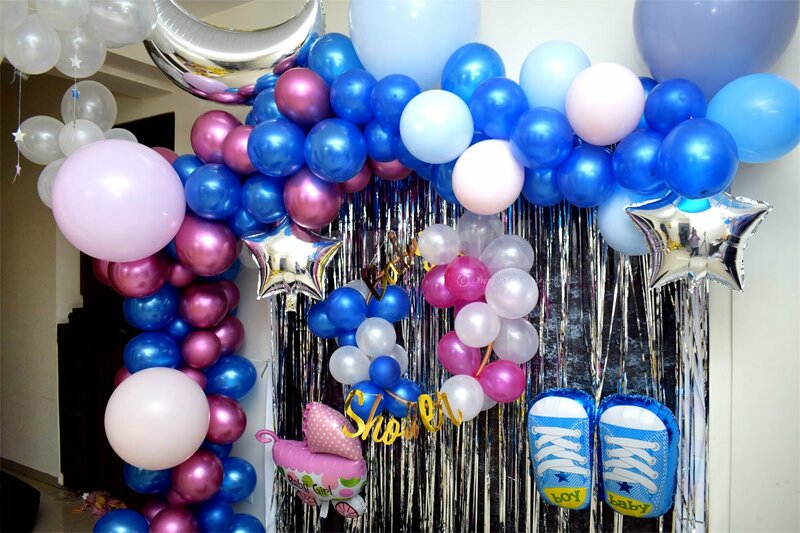 Make the party super fun by these funky baby shower selfie sticks! Add a name bunting for the gorgeous mom to be!